Update: This page has been updated to reflect the latest colorways of the Nike Premier. *The Triple black and triple white colorway and a few others colors have joined the Nike Premier fray which gives you many more options to mull over as you look into this classic shoe. In the world of boots, we typically brace ourselves for the next outlandish boot release or colorway. 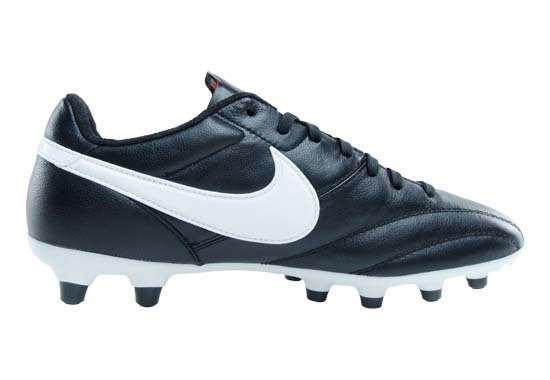 However, Nike decided that they could make a massive impact in a market where there is a lot less competition: the classic heritage boot. Although Europe is rife with brands creating classic leather boots (Pantofolo D’ Oro and various others), the United States has always been dominated by the Copa Mundial. Is the Premier worth averting your gaze from the latest and greatest or will Nike be regretting their entry into the heritage market sooner rather than later? The Look: The Premier has a truly classic look. Without any extra frills and with a clean look that seems out of place in the current boot world, the look is perfect. The black upper will make sure that the boot looks great for a long time and the white soleplate creates a great contrast. Although we see a lot of similarities between this look and the Copa’s, we mentioned in our Ultimate Copa vs Premier comparison that the Premier executes this look while still looking modern…the Copa just seems “old” by comparison. Any purist in the boot world will love this boot and there is no pitch where this boot will not look great. If you need some color on your Premier, Nike did release a grouping in blue, red, and yellow, but there is no need for me to have anything other than the originally launched black and white. The Touch: When it comes to touch on the ball, the Premier takes full advantage of its kangaroo leather. Every touch feels great and passing/controlling the ball is a dream. Add in the memory foam insert in the tongue that I have always been a huge fan of and this boot makes long passes, shooting, or bringing the ball out of the air an absolute joy. There are no gimmicks on the upper and the leather is not overly thick, making the touch when you address the ball as pure as possible and playing in them will appeal to absolutely anyone (unless they don’t enjoy premium leather and a great touch on the ball…). The Feel: Although there is some slight tightness in the boot once you first get them (make sure you order a half-size up), the comfort and feel of the boot is exactly what you would expect from a kangaroo leather boot. After you get it broken in, it could easily function as your favorite pair of house shoes once its playing days are over. The soleplate also helps add to the comfort of the boot in the even distribution of weight and the high quality plastic used therein. The only problem I have with the Premier is that it holds moisture too long (much like the Ctr360 Maestri), but taking care of your boots properly should make that a non-issue. The Verdict: The Premier has definitely been one of my favorite boots from 2013 and has quickly become one of my personal favorites from any year! This boot is definitely the absolute best value on the market by leaps and bounds! 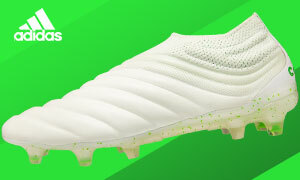 If you have the opportunity to snag a Premier or you find yourself searching for a cheaper alternative to the Copa Mundial, do it IMMEDIATELY! 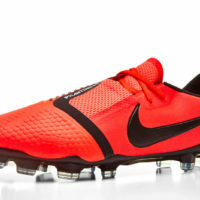 Head over to SoccerPro.com and get your feet in the Nike Premier before the world figures out what Nike have done! Hurry!